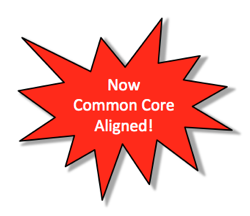 Last week, I started this series on certain Social Activism curriculum claiming to be aligned to Common Core as created by ‘Teaching Tolerance’, a project of the Southern Poverty Law Center. This is part three. Teaching Tolerance’s Perspectives for a Diverse America is a literacy-based curriculum that marries anti-bias social justice content with the rigor of the Common Core State Standards. There are four parts to the ‘Diverse Perspectives’ plan. They include Building your learning plan, Anti-bias framework, Central text Anthology and Tasks and Strategies. Today, we’ll look at the first two, ‘Building your learning plan’ and ‘Anti-bias Framework’. This section arguably piggy-backs on the Common Core’s inappropriate push on very young learners to read texts that are age and developmentally inappropriate, as well as relying on Common Core’s widely disputed “close reading” method. Of note in this section is the “Do Something” construct. In my opinion, it might as well read “Do Activism”. Let’s see the definitions ‘Teaching Tolerance’ uses for this construct. Perspectives follows a “backwards design” approach that begins with the anti-bias anchor standards and grade-level outcomes from the Teaching Tolerance Anti-bias Framework (ABF). The ABF is organized into four domains: Identity, Diversity, Justice and Action. The domains represent a spectrum of social justice education goals inspired by Louise Derman-Sparks’ 1989 book, Anti-Bias Education: Tools for Empowering Young Children (NAEYC). The ABF includes 20 anchor standards, five within each domain. Each anchor standard has corresponding grade-level outcomes for K-2, 3-5, 6-8 and 9-12. School-based scenarios show what anti-bias attitudes and behavior might look like in students. Derman-Sparks appears to have made a lucrative career out of pushing social issue items into classrooms. Students will understand the multiple facets of their identities, know where those traits come from, and feel comfortable being themselves in a diversity of settings. Students will recognize the diversity of people in the world, be able to identify differences and commonalities, express interest in the lived experiences of others and develop genuine connections with others. Students will be aware of bias and injustice, both individual and systemic, will understand the short and long-term impact of injustice, and will know about those who have fought for more fairness and justice in our world. Students will feel confident that they can make a difference in society and will commit to taking action against bias and injustice even when it is not popular or easy. A template for creating a generation of social justice activists, starting in kindergarten, based on definitions provided by the far left. In the next installment, we’ll take a look at ‘Central text Anthology’ and ‘Tasks and Strategies’. This entry was posted in Common Core, Err What?, LL1885, Poltical Correctness, Social Justice, The Articles and tagged Anti-Bias Framework, Common Core Aligned, Southern Poverty Law Center, SPLC, Teaching Tolerance. Bookmark the permalink.